the children of your Father which is in heaven: for he maketh his sun to rise on the evil and on the good, and sendeth rain on the just and on the unjust. The persecution of Christians has been around for centuries. We here in America have not seen the type of horrors that many around the world have faced. Impaled on stakes, drawn and quartered, burned at the stake, wrapped in animal skins and set loose in the wilderness. These are some of the atrocities fellow brethren have suffered for the faith. Yet, in all this, what Jesus suffered for us topped them all. Jesus suffered physically, mentally, and emotionally. Jesus suffered physically. The Roman crucifixion was one of the cruelest ways to die devised by man. The beating with the cat-o-nine tails nearly took His life. Jesus suffered emotionally. Never has anyone been so left alone, mocked, reviled, wrongly accused and forsaken as our Savior. Those closest to Him fled at a moment when He needed them the most. Only John, Mary His mother and a few women were there until the end. Jesus suffered spiritually. We will never fully comprehend what it was like for divinity to take on human flesh and face all the temptations the devil laid before Him. But ultimately, after the physical and emotional suffering, He bore the weight of mankind’s sin for all time. We suffer shame and guilt over our sin, yet He bore that for all. To know what it is to be clean, then to have to confess and forsake sin; He was multiplied exponentially. And yet, through it all, Jesus was able to say on the cross, “Father, forgive them; for they know not what they do.” The same ones who placed a covering over His head and took a rod and beat His head mocked saying, “Tell us, prophet, who hit you.” Cruelly crushing a crown of thorns into His skull causing such pain and swelling that His face became unrecognizable (Isaiah 52:14). The furrows upon His back from the scourging (Psalm 22), the utter despair that caused such stress that He sweat blood; and through all this He still had the compassion to say, ‘I forgive you’. Christ showed to us a love like no other. A love we cannot work up in the flesh. But a love we are commanded to show – and to those diametrically opposed in every way. So, how do we love like Christ loved? How do we love those who literally hate us? Seeing them as God does; a lost sinner in need of a Savior is a good start. Seeing them as one bound by sin that causes the hatred, the cruelty and the direct opposition to the very love and forgiveness they need for Heaven and escape an eternal Hell. When we are able to remove the personal nature of what divides us, we can see more clearly their specific needs. Understanding that hurting people will hurt people, I must have forgiveness in reserve for those who offend me, those who wound me, those set upon my destruction. Ultimately, my end is an eternity in Heaven, promised by God. A sure thing. Nothing else in this world is sure; not long life, not riches, ease or comfort, but we can have hope that in the end, we will enjoy an eternity in Heaven forever with the One who paid the ultimate price to gain it for us. This is my commandment, That ye love one another, as I have loved you. Greater love hath no man than this, that a man lay down his life for his friends. That same love is to be extended to our enemies. Not easy, I know. But allowing Christ to love through us – that is the key! If I am to allow Christ to live His life through me, He most certainly can love that which you and I cannot. Seldom a day goes by that we are not faced with the opportunity to die to self. Most every believer recognizes his or her personal responsibility to put their own wishes and wants on the altar and to sacrifice himself for the cause of Christ. However, God expects much more than a daily dying to self in order to qualify for the power of His resurrection. 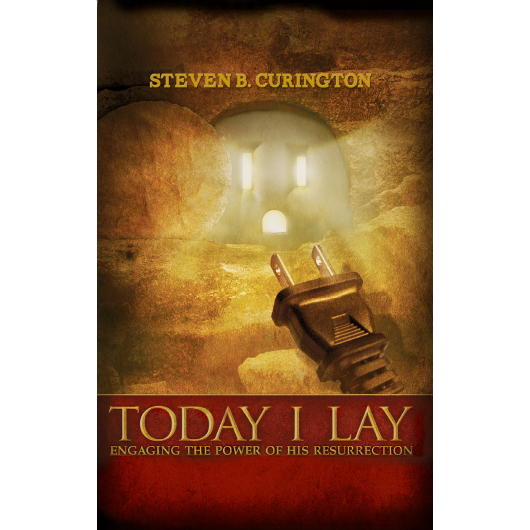 This small book by Steve Curington explains the need that in order for us to experience this supernatural power on our lives, we must be willing to not only die for Christ, but to die with Him, be buried with Him, and then be raised to walk with Him as we engage in a regular evaluation of our death, burial, and resurrection. The Importance of Being Dead. Witchcraft Caused My Psychosis – Jesus Christ was the Cure.